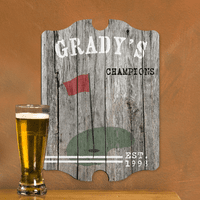 FEATURES/SPECS This solid wood golfer's wall sign is ideal as a thank you gift for a golfing buddy or as a groomsman gift for the members of your wedding party. 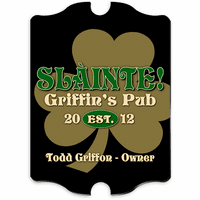 It comes with a full color print, in red and green, of a putting green and flag set on a background that looks like a weathered fence. 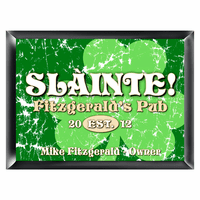 Along the top, we'll add the first or last name of the recipient along with the word of your choosing below. 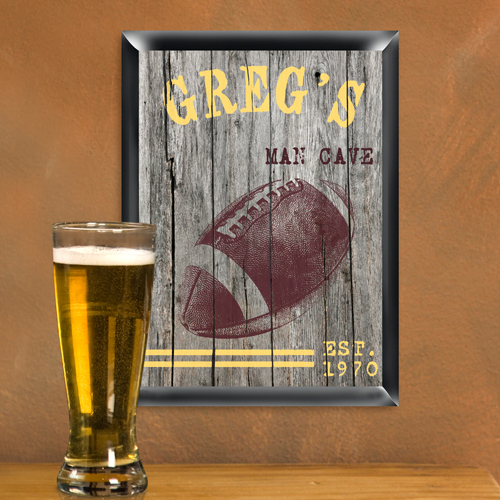 A popular choice is to have "Champion" or "Man Cave" printed here. Add a date of establishment to finish off the customization. 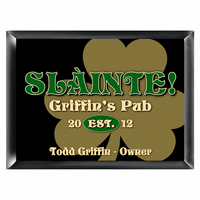 This personalized golfer's wall sign will hang proudly in any duffer's den or man cave.